Pests! This post is all about pests. I’m not big on bugs. Some I can tolerate, but others I hate! As you know, things were humming along quite well in my garden. All of a sudden though, my tomatoes were turning up rotten. Blech. Just when they were close to ripe, they would be spotted and rotten in places. Low and behold, I found some bugs on them. They were sneaky buggers, but they became more and more prolific. The results of their carnage. 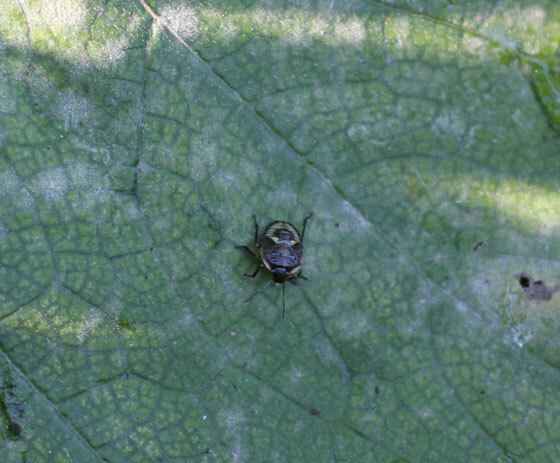 Turns out that there are stink bugs on my tomatos. Who knew there are several kinds of stink bugs? Not me! I’m used to seeing the big green ones, but had no idea there were also little brown ones. Apparently they like to inject an enzyme into the tomatoes that turns the tomato into liquid so they can then drink the fruit. 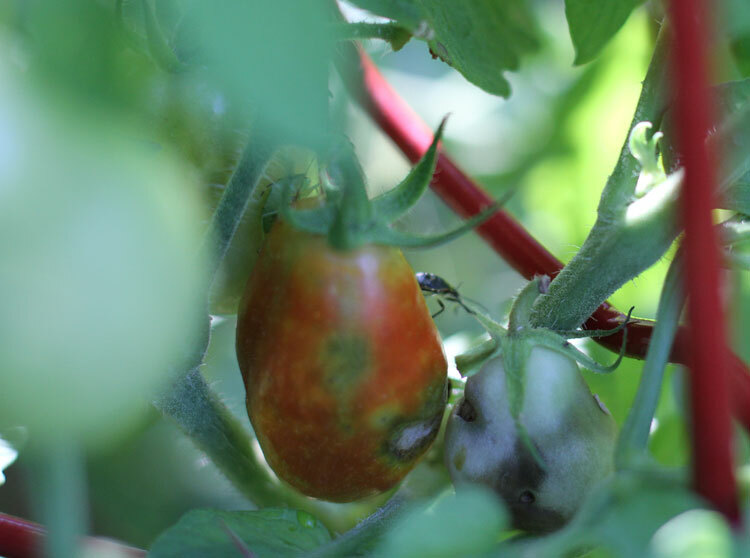 So, the tomatoes rot on the vine. The cure–picking the little beasts off by hand and sending them to their demise in a bucket of soapy water. 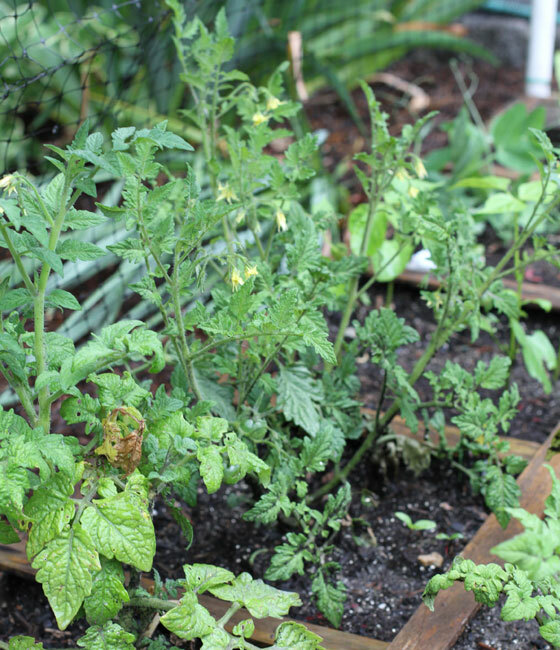 Daily washing of the tomatoes with water can also help keep them off the plants. I’m hoping that I can get them under control so I can enjoy a late harvest of tomatoes. We have a lot on the plants still, so there is hope. Another little pest kept me from enjoying any broccoli this year. No clue what did the plant in, although I suspect some type of worm or caterpillar. If anyone knows, do let me know, I’d like to prevent them next year. Broccoli is my gardening white whale. 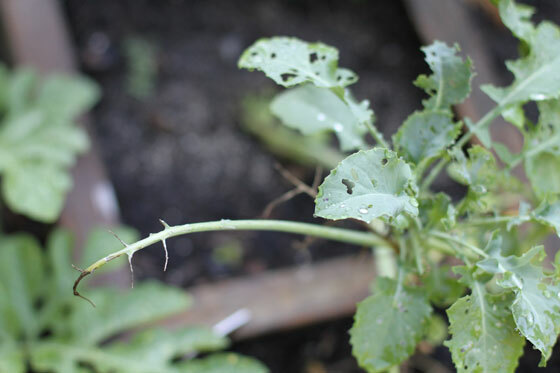 Some pests are great for the garden though. Plant marigolds to attract ladybugs. Ladybugs love aphids, and will keep those out of the garden for you. 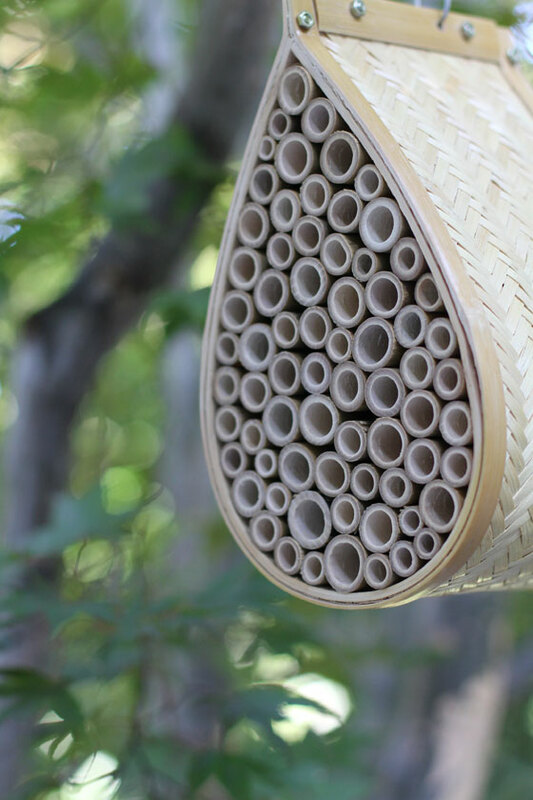 Also, consider hanging a carpenter bee house near your garden, like the one pictured. They will do wonders for pollination and by providing them a home of their own, they are less likely to play house in your deck or porch railings. The one thing my family does together more than anything is hike. Well… I guess we eat together more, but you know what I mean. Hiking is our thing. 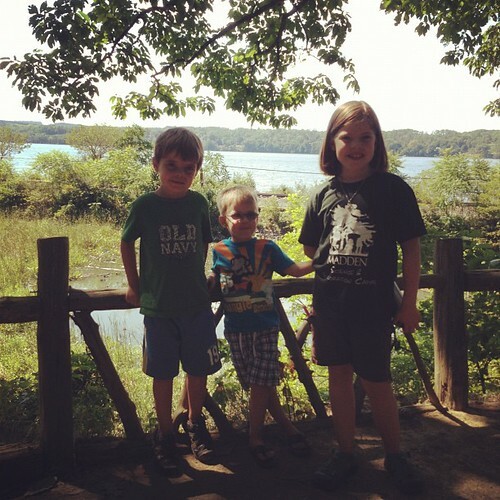 We love the outdoors, and with three kids with ages ranging from 3-8, hiking is something we can all do and enjoy. Living in the Hudson River Valley gives us lots of hiking opportunities, and the fact that we live steps away from the Appalachian Trail doesn’t hurt either. We try to hike a different trail each time we go, and luckily this area has enough trails to keep us going. Today we drove 45 minutes North to a town called Red Hook. 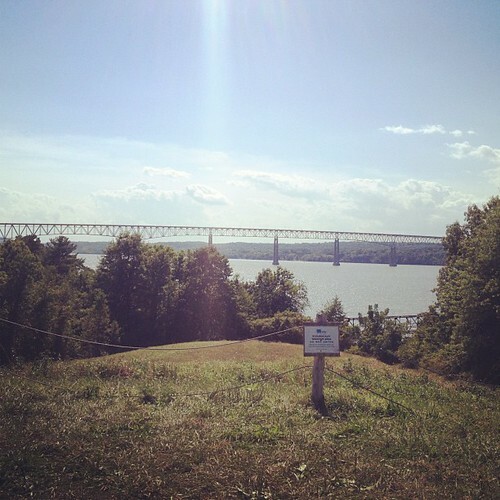 Sitting on the Hudson River, it’s home to Poet’s Walk Park, a great hike through 120 acres with several outdoor rooms designed to evoke specific emotions from the visitors. Many an author has spent time in these woods and fields, including Washington Irving, who apparently came up with the idea for Rip Van Winkle while here. This is one of the things I love about this area, there is history in every hike. 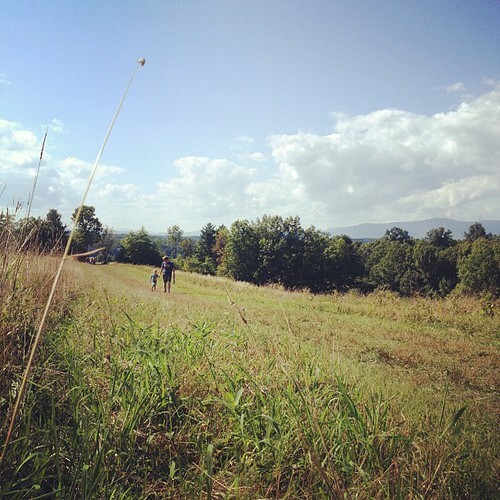 We set off at a leisurely pace, stopping at the various “houses”, benches and vistas to enjoy views of the Hudson River, the Catskill Mountains across the river, and neighboring farms. The kids particularly enjoyed the three bridges over the rambling creeks in the woods and the two Geocaches we did while there (for more on Geocaching, read my post on this modern day treasure hunt). My favorite part, wearing each one of the boys while hiking. They are getting so big and most often are too busy to snuggle or let me carry them. I am guaranteed some baby (child) wearing when we hike though, as they get tired since we usually hike for 3-4 hours at a time. 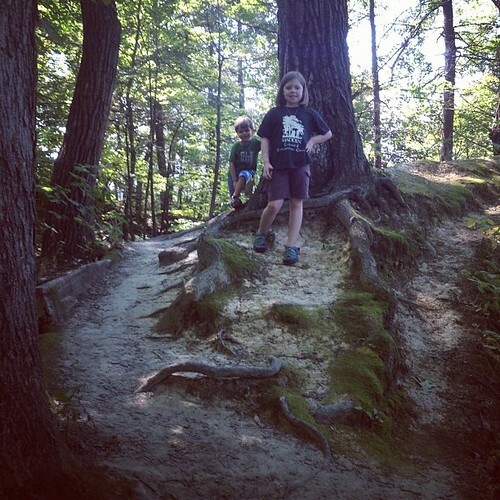 So, if you are interested in a great family activity, go on a hike. It’s a great way to unplug, get a little exercise and enjoy the outdoors. 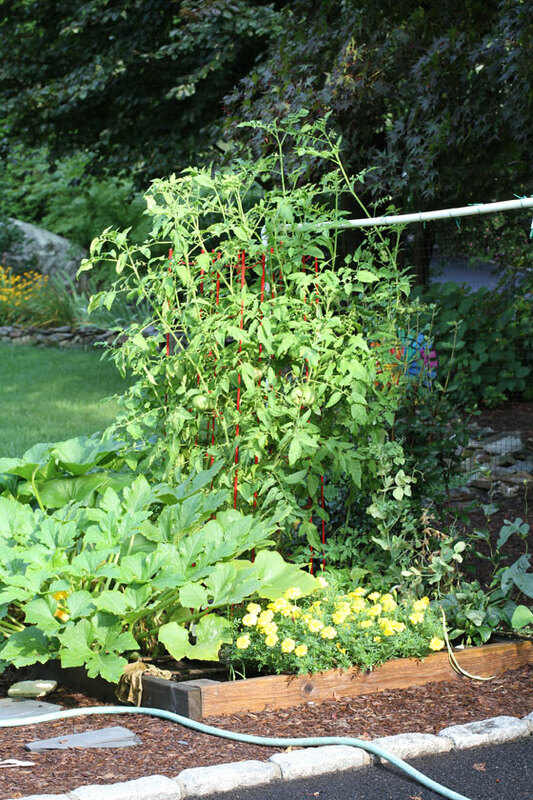 All the talk in this series this year has focused on vegetable gardens. Our gardens have more than just vegetables in them though, as I’m sure do yours. 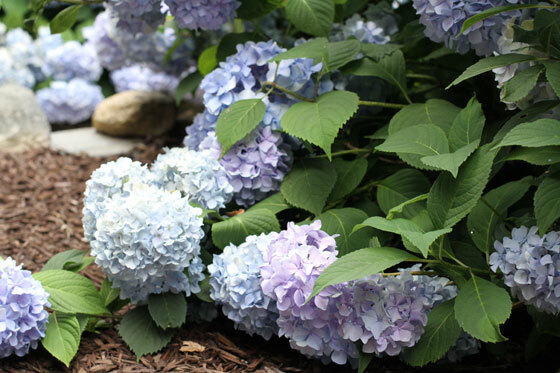 One of the biggest features in our yard is our hydrangeas. With many different types, including some heirloom and climbing varieties, they are full of show and heavy with blooms all summer long. The blooms are just now beginning to burst so they are at the perfect stage for picking. Did you know that if you pick them when the stamen has burst, they will dry perfectly? They won’t wither at all, they will stay just as you picked them, but will fade to a beautiful desaturated version of their summer glory. Something to brighten up your home all fall and winter long. A few other interesting tid bits about this gorgeous plant—they bloom on third year wood, so when pruning simply cut off the stalks with dried blooms on them after the hard winter, and the plant will stay a well behaved size. If you want to let them grow unchecked, just pull off the spent blossoms after the winter and all the stalks will leaf out. 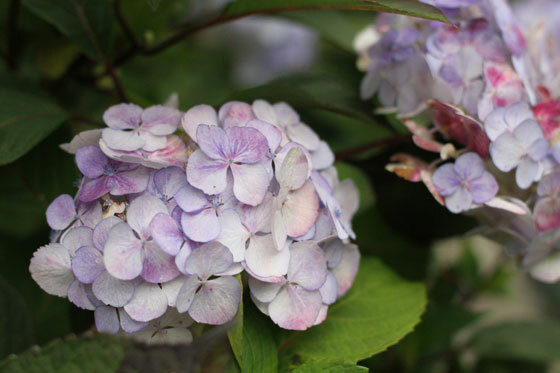 Many varieties can change bloom color by changing the pH of the soil. Experiment with yours to get a wide range from deep blue to brilliant pink. This year the blooms were so plentiful, they weighed down the bushes. 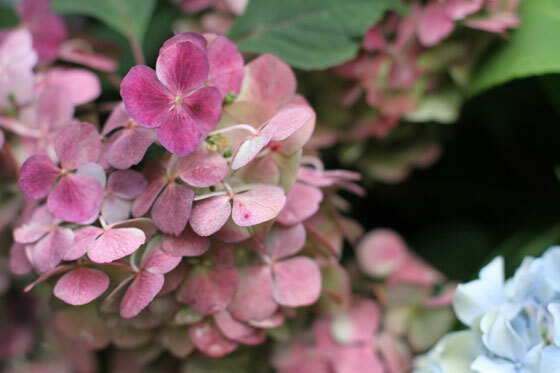 One of the more rare varieties in our yard, this one is always the best shade of pink. Ready to pick and be dried. Wow, the summer always sneaks up on me and then bam! it seems to end. This has been a funny year in the garden. The tomatoes are taller than I am, the pumpkins are threatening to take over, and the zucchini and squash have been bigger than ever! How has the garden been for you this year? About this time, the cool weather crops are long gone and the harvest is at it’s peak. 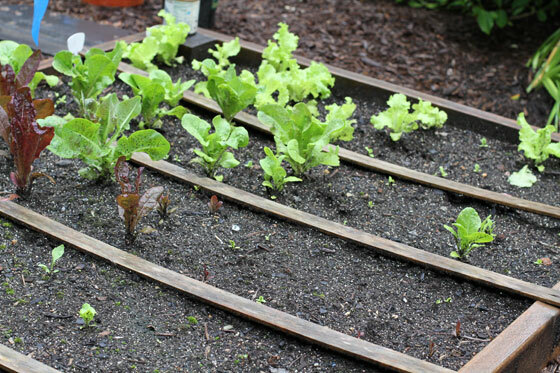 Maintenance in the garden is simple, just pull the occasional weed and pick the veggies when ripe. Easy peasy. But that doesn’t mean you can rest on your laurels. 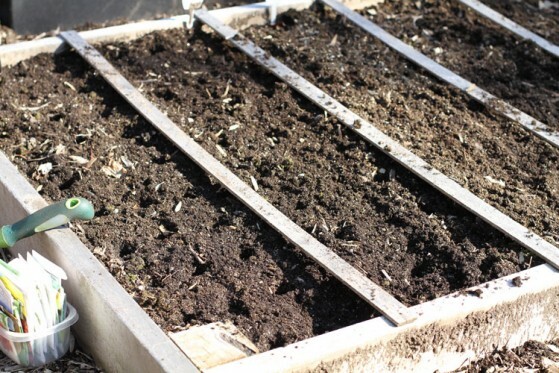 This is the perfect time to harvest your vermiculture compost to be mixed into the garden soil before closing the garden for the winter. 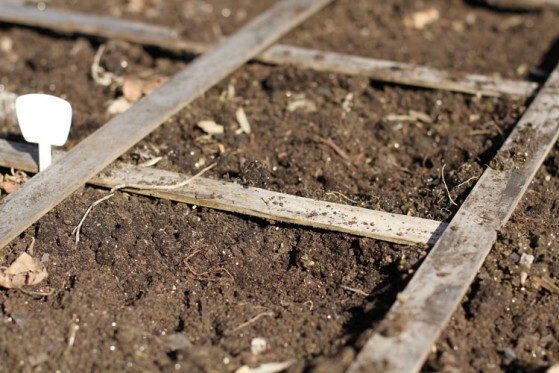 It’s also a great time to do any repairs to the garden boxes, trellises, and other garden features. Just a few hours spent now can save you lots of time in the future! Here’s a glimpse at what’s growing here, and a pic of my little garden helper. He loves to pick the veggies and is thrilled each time he sees a new one growing. 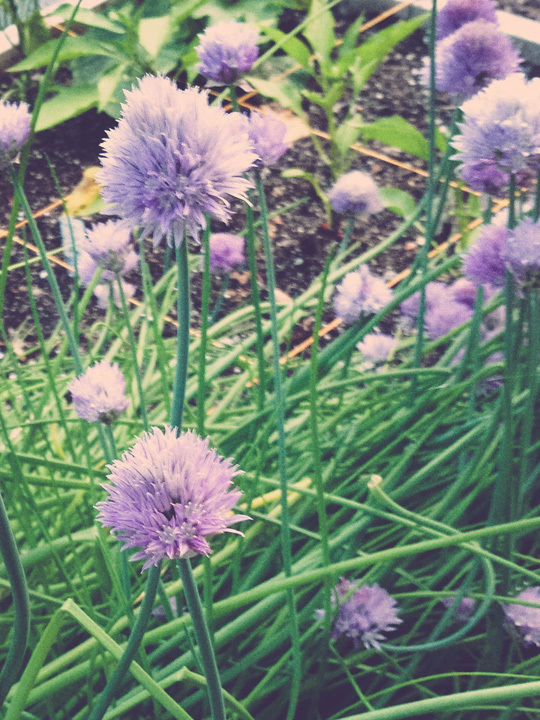 It’s been a wonderful Spring in the garden, and I can’t wait for Summer to bring lots of veggie bounty. It’s been a slower time here compared to the busy time of starting the seeds and planting the garden, we’re just weeding the few weeds that come up and watching to make sure no pests get the young plants. It’s been fun to see everything coming up. There are some tomatoes growing on the vines, so excited to pick them this year after a miserable tomato crop last year. We’ve gotten to enjoy quite a bit of lettuce so far, but not nearly as much as last year. I’ve planted seeds again to see if I can encourage a late crop to come in. It’s such a good example of how each year can be so different even if you do everything exactly the same way. The next few weeks will be important to watch and make sure the garden doesn’t get too dry, especially the cilantro, dill and basil. 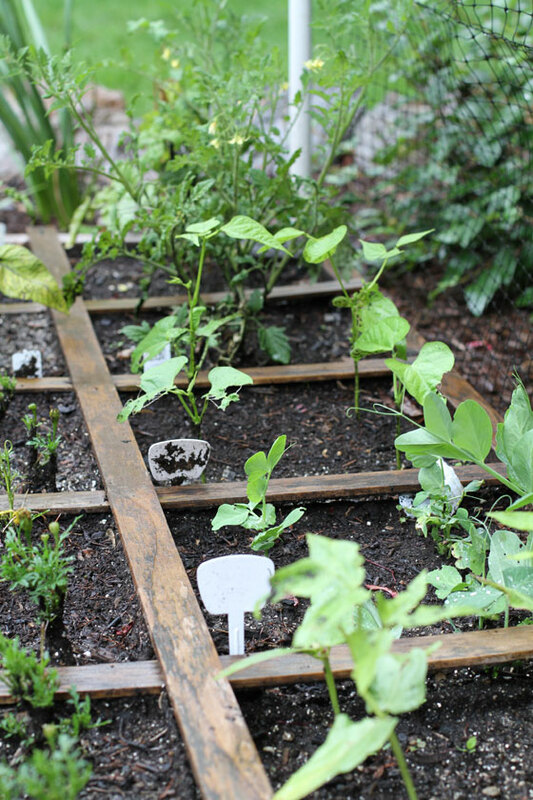 Herbs like a little bit of water daily, while other vegetables can take a deeper, less frequent watering schedule. 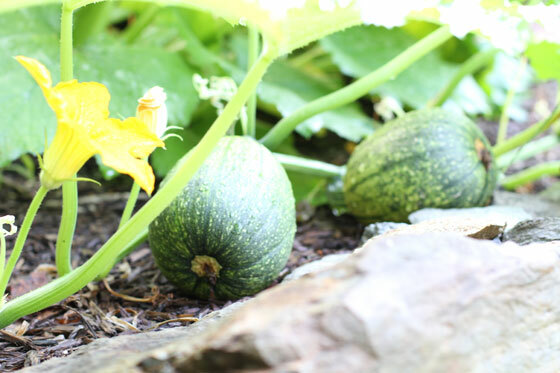 Harvest any cool crop veggies as they are ready and watch out for any insects or animals that might be enjoying your harvest before you can. Next time hopefully I’ll be showing lots of pictures of big, yummy vegetables! 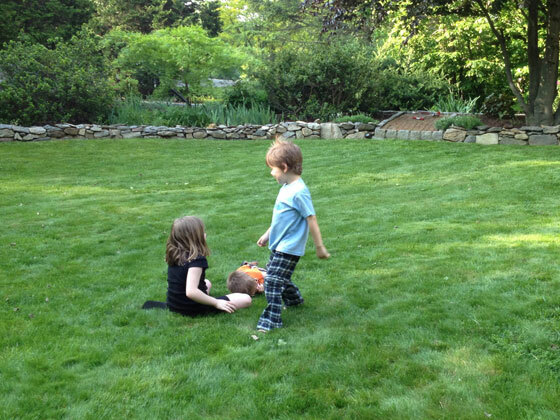 I think one of the greatest things about Spring is the ability to have impromptu fun of any sort at any time. The weather is perfect so often—the warmth of the sun combined with a soft, cool breeze make it easy to do almost anything. Longer days allow for more stolen moments from the hustle and bustle of daily activities. 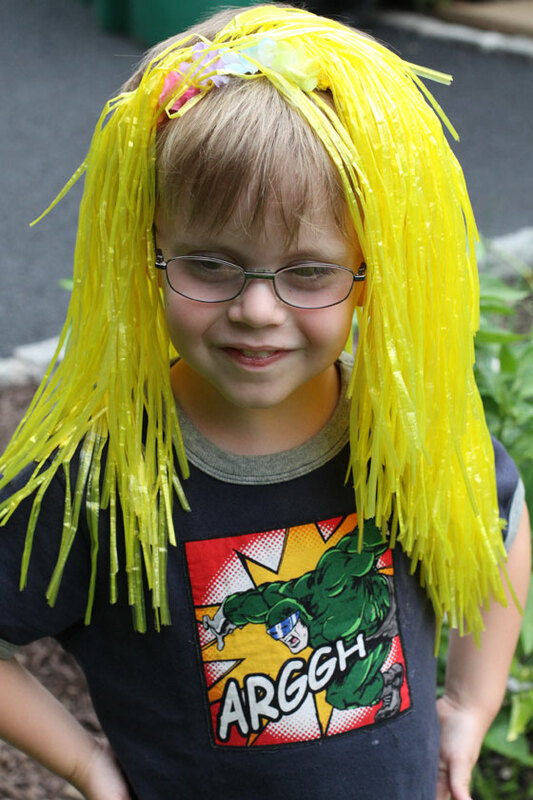 You only need look around for a chance to share those fun moments with the kids, and act like a kid yourself. 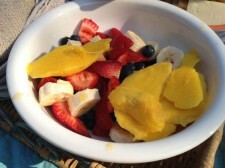 Today, a picnic dinner as the sun starts to set, on a fresh cut lawn to boot, was too good an opportunity to pass up. It allowed us healthy nibbles shared at our leisure family style, a game of frisbee played mid-bite and between bites, and for lots of Ring Around the Rosie. The long hour and a half dinner would normally have been a somewhat rushed affair, coming on the heels of a long, busy day. But we chose to take our time tonight, push bed time just a bit and enjoy each other and the chance to simply play for a bit. 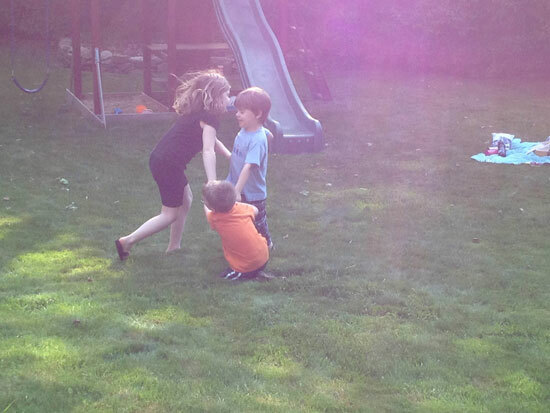 Don’t let the perfect weather this Spring pass you by without a little bit of this stolen joy in your own life. 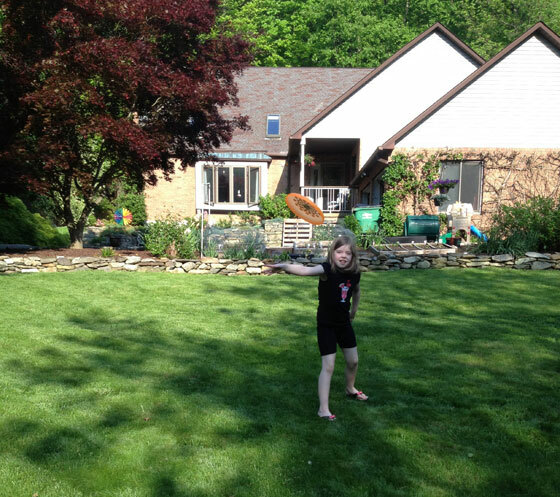 What will be your impromptu Spring fun? Spring has definitely sprung in NY and it seems the rest of the country too. I don’t have any confidence it will stay this warm (who ever heard of 85° in March in NY? ), but it’s made me want to continue with my seeds indoors and plan out the full garden so I can plant outside as soon as it is warm for good. Last time I talked about garden planning, buying seeds and thinking about what I want to grow. 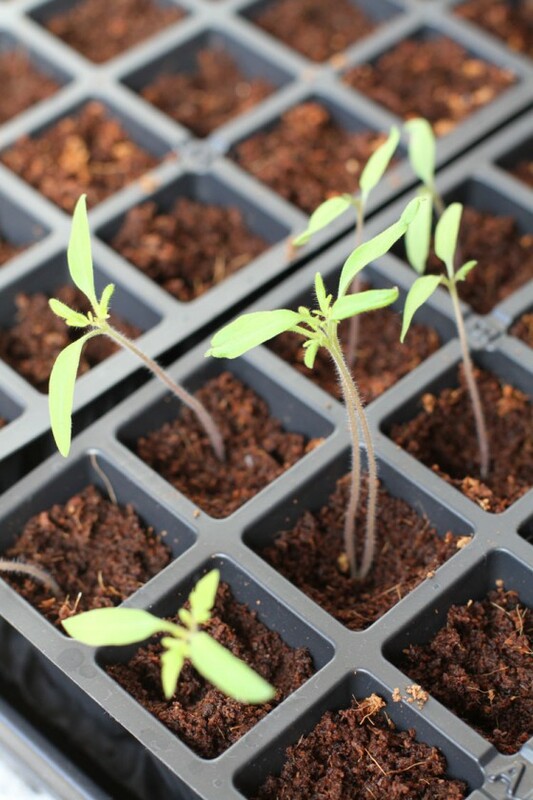 Plans in hand, it’s time to start some plants indoors that need extra growing time, like tomatoes and peppers. We eat a lot of salads and red sauce, so we like a variety of both of these yummy veggies. 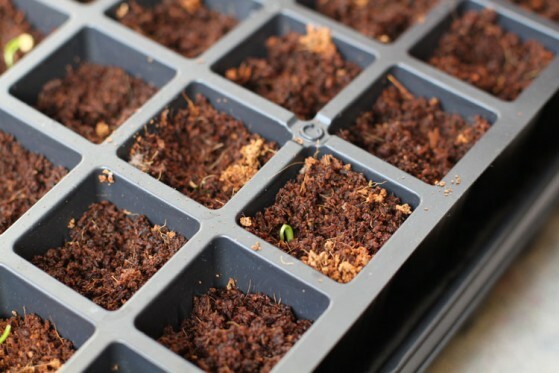 Starting seeds indoors can be as easy or as hard as you want it to be. I know some that have grow lamps and a mini indoor greenhouse. Those are very handy if you don’t have a lot of light. I am lucky and have French doors in the kitchen that provide lots of light for my seeds and young plants. 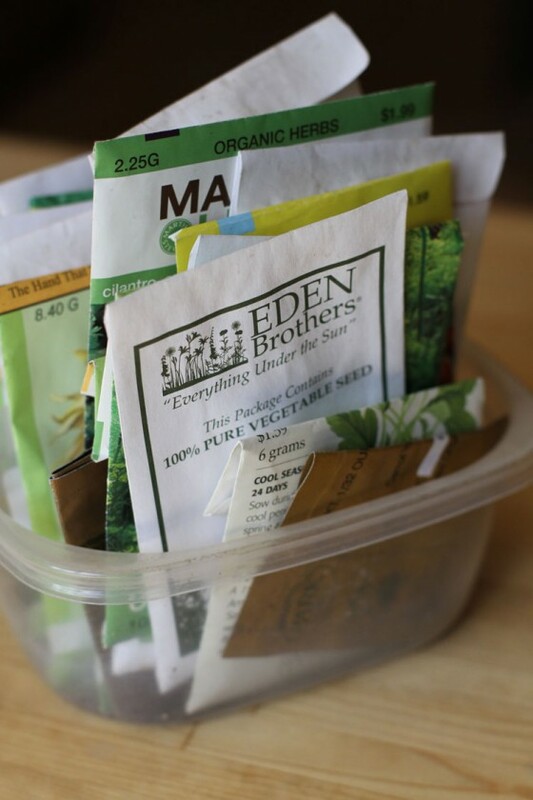 In year’s past, I have started seeds in just about every kind of container you can think of. I love the pints that blueberries and cherry tomatoes come in since they have drainage holes in them already and lots of room for roots to develop. 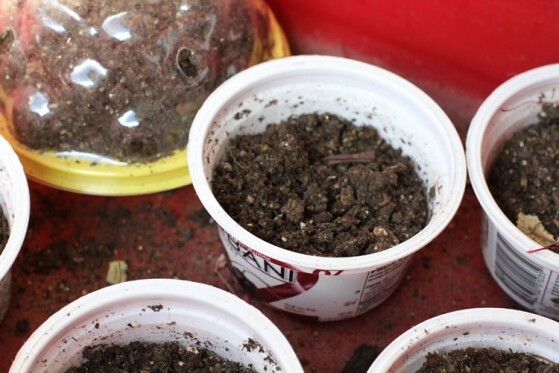 Yogurt containers also make great seed starter containers, just make sure to poke some holes in the bottom before planting. This year though I did buy a seed starting planter. It was on sale and I was drawn to its self-watering capabilities. Watering is my weak spot, I tend to forget and with seedlings that can mean easy death to young plants. 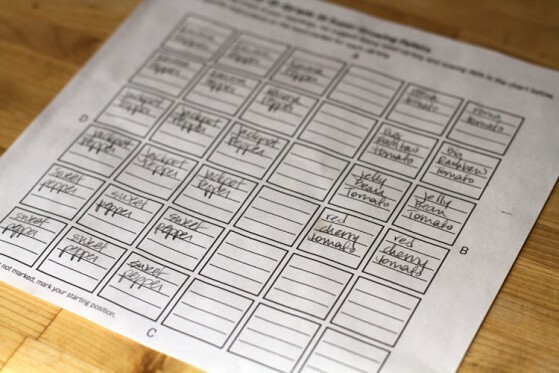 It even has a handy paper grid for marking what seed is where so I won’t forget what I’ve planted. Planting in this, or any other container, is easy. 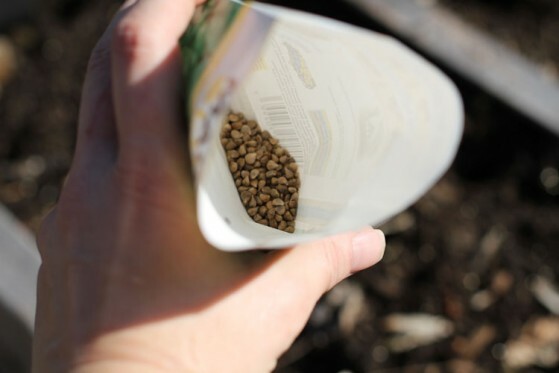 Just make sure you have garden soil or peat to start the seeds in, that they have plenty of drainage, and that you mark your seeds as to not forget what you’ve planted (unless you want to surprise yourself later!). 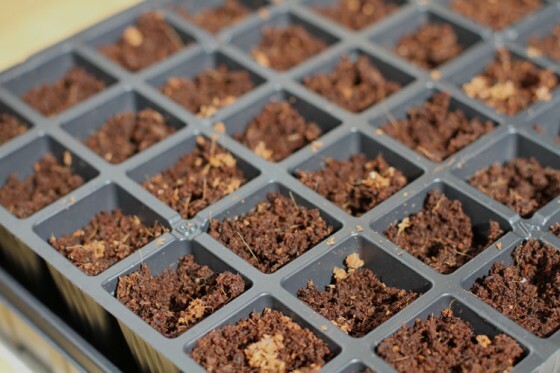 Add soil to the container, push the seed into the soil about an inch down and then water from below. 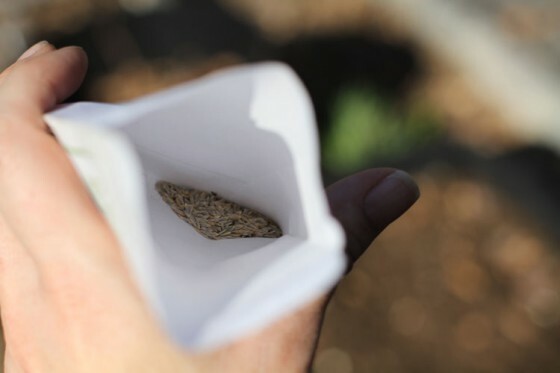 If I plant in yogurt containers and the like, I sit those in a larger container or bin and fill that with about an inch of water, giving the planters a chance to draw water up from below, giving the seeds a continuous amount of moisture for germination. I’ve planted 4 kinds of tomatoes and 3 kinds of peppers and they are coming along very nicely indeed. 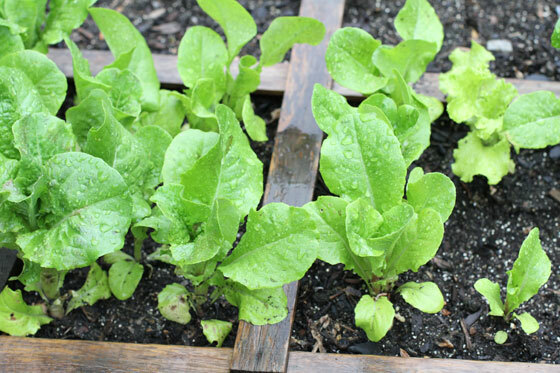 Makes me excited for the coming weeks when I plant the cool weather crops outdoors, like the spinach and lettuces! To say that I’m excited about this year’s garden is a bit of an understatement. Those who know me know that I love to garden, any type of garden. I have done shade gardening, container gardening, flower gardening, herb gardening and vegetable gardening. If it’s green and it grows, I like it. Since moving to New York six and a half years ago I’ve been on a non-stop learning journey. 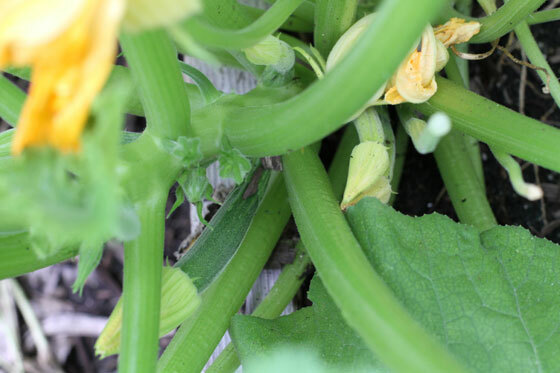 I’ve lived in the South my whole life, so the challenges of zone 5 have been all new for me (learn about your own zone here: http://www.garden.org/zipzone/). I spent the first two years here just watching the garden, learning about the shorter growing season and native New England plants. 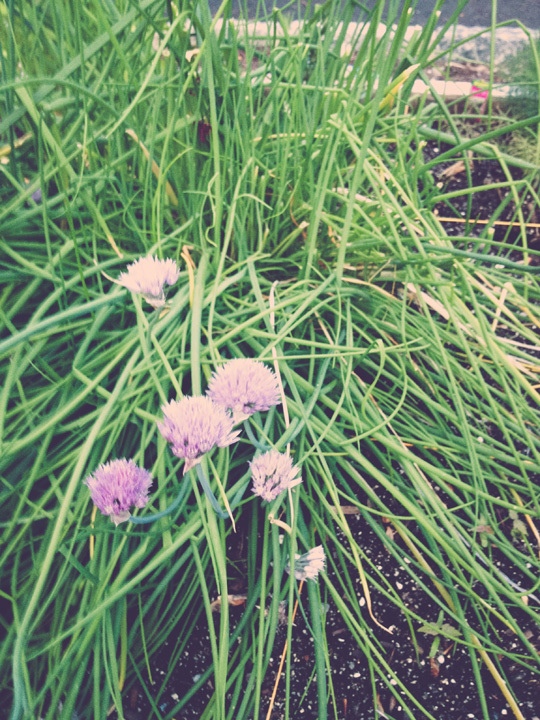 Then, I began planting, rearranging, and taking out things that just didn’t work for us. 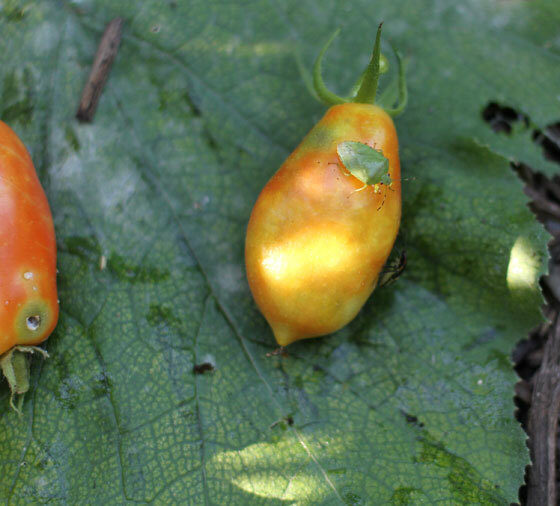 We have a well established yard with tons of heirloom plants, so it was exciting but daunting. 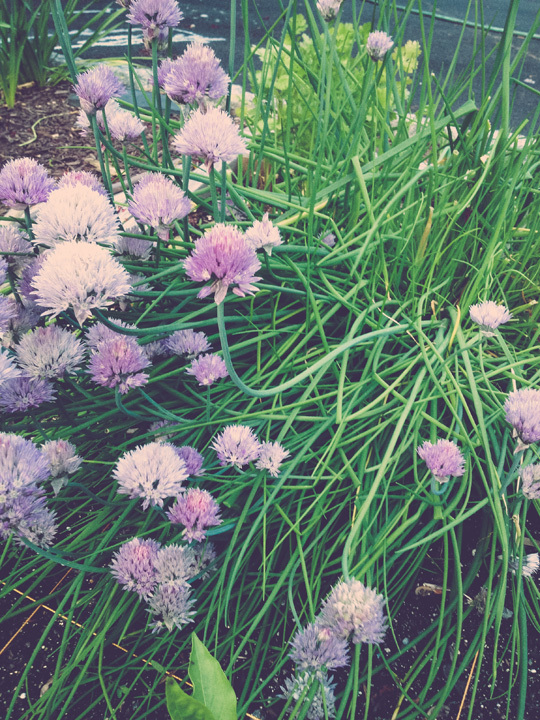 What was missing from my gardening adventure was herbs, fruits and vegetables. I craved the opportunity to grow our food, but after three years of trying various places around our property I finally decided to take more drastic measures. We took out several large bushes that we didn’t particularly like and reclaimed the perfect spot for our vegetable garden. This year will be our second year with our vegetable and herb garden. I’m excited to try new things, re-create our successes from last year and enjoy a long year of yummy edibles of all kinds. So let’s get started with this, a first of many posts in this series. Although my old friends in the South have been enjoying warm weather and have no doubt already completed their first planting of the season, it’s still actually winter. And in the north, that means it’s still cold and there is still a chance of frost and freezing weather. But that doesn’t mean that there isn’t work to be done. Now is the time for planning! Now that I have my list of what I’d like to grow, I look around at the many varieties. There are hundreds to choose from, but it’s a good idea to stick with heirloom seeds when you can. That way you can ensure your family is getting the best food possible with no genetic modification. Hybrids can be fun, bue ensure that they were developed from good parent plants. That’s usually only possible if you work with local gardeners. Go ahead and order those seeds, some might take awhile to come in and depending on your location, you might need to be planting soon. From here we need to plan out the garden and perhaps start some of the seeds indoors. We’ll talk all about that next time. In the meantime, happy seed shopping! 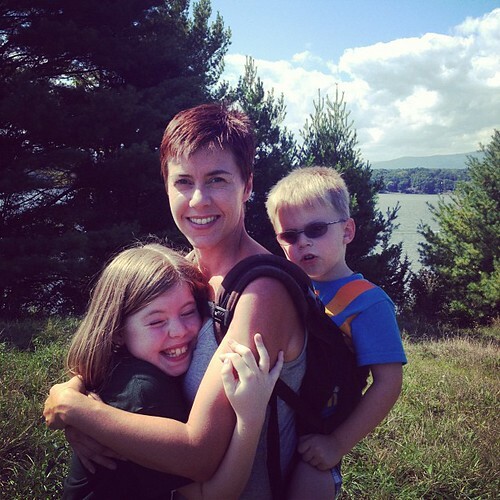 Kristi Ashley is a homeschooling mom of three who spends time in the garden or hiking nearby her Hudson Valley, New York home. She is an amateur photographer, scrapbooker and avid reader. Find her work and blog at Tickety Bu.